What to do when you have 50,000 excess books in your store? Well, the answer for Berkeley’s Bay Area Book Festival is – to promptly construct a library out of these books. Yes, you read that part right – ‘out of these books’! The festival organizers received an enviable donation of 50,000 books from the Internet Archive, and they decided to use the tomes for an unusual installation. 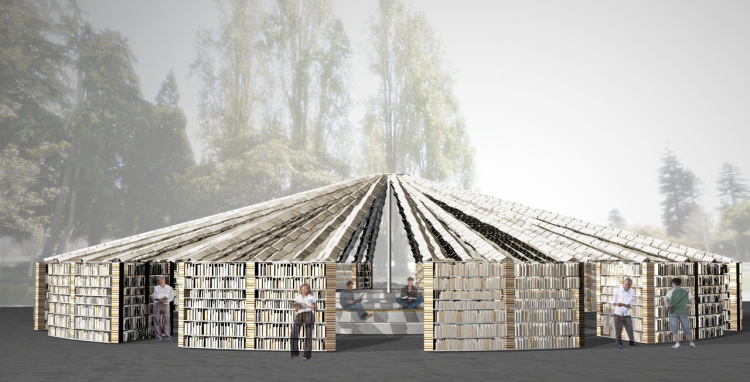 So they have partnered up with art collective FLUX Foundation, to create the glorious ‘Lacuna’, a 80-ft diameter library built from books. The designers have even initiated a Kickstarter campaign that would fund the extra building materials, and more importantly allow the permit to construct such an unconventional architectural specimen. 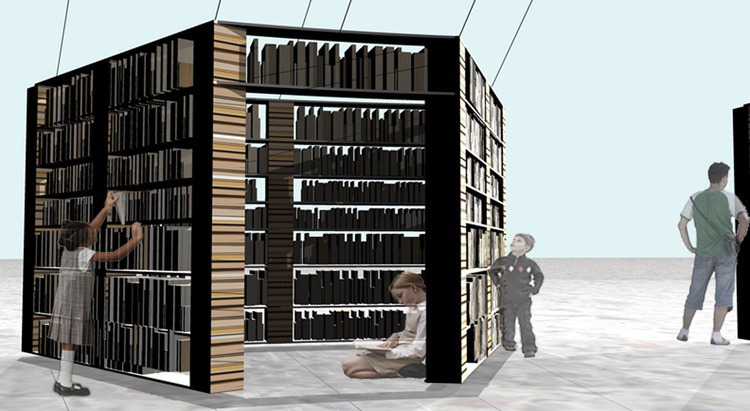 Lacuna is a monumental, participatory art installation constructed from 50,000 books. Like a library, people can step inside Lacuna, browse its shelves, and take home books. Unlike a library, the very walls of Lacuna are created from books, which means that when people remove a book from a shelf, the structure will change and morph as new gaps in the book brickwork are exposed. In essence, it is all about the community role in the library, and how the positive communal effect (in this case being reading) can literally transform the physical ambit of the structure. This conscientious side to the project will be manifested by the ‘free admission for anyone’ system once the Lacuna gets installed and exhibited at the Martin Luther King, Jr. Civic Center Park in Berkeley, California on June 6th and 7th, 2015.